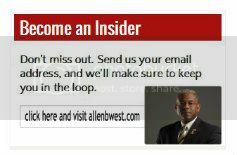 A fierce advocate of conservative values, strong education, and public service, Allen West is the third of four generations of military servicemen in his family. His parents instilled in him a very basic principle, love of God and Country. Having served in several combat zones – including Operation Desert Storm and in Operation Iraqi Freedom, where he was battalion commander for the Army’s 4th Infantry Division, and in Afghanistan, where he trained Afghan officers to take on the responsibility of securing their own country, West has proven his unparalleled ability to lead under difficult situations. During his 22 years of service in the U.S. Army, he was distinguished by numerous commendations and honors for valor, achieving the rank of Lt. Colonel. West’s upbringing, education, and distinguished military service inspired him to become a staunch advocate of national security, armed services, education, and veteran issues, and accordingly, to seek public office. In 2010, he became the first black Republican from Florida to serve in the U.S. House of Representatives since Reconstruction. Fittingly, Congressman West brought to the floors of the Capitol his steadfast passion, his firebrand leadership skills, and his unwavering principles. He will bring the same inspirational qualities to your audience. Former Rep. Allen West predicts the Obama Administration will fail to enact restrictive gun laws that buck the Second Amendment and believes the issue is more about people control than gun control. “This is your gun control, this finger right here – your index finger,’’ West told Newsmax TV in an exclusive interview. “Nothing happens with that gun until you put that finger into the trigger well and you pull it. So my concern is that we’re not talking about the real issue, we’re talking about a political agenda. The Florida Republican, a retired U.S. Army colonel who’s a tea party favorite, said there is “big concern’’ across the country about Obama enacting an executive order to push through a firearms mandate. “That’s not in contra, as we are a republic with co-equal branches of government, separate of power — so that’s what really concerns people,’’ West said. and a Colorado movie theater “the real commonality is . . . that there were parental problems, there was a mental issue. West said members of the military, police, and civilians are strongly responding to the possibility of a White House intervention. outstanding 2 years he spent working at his side. General Schwarzkopf was our Coalition Force Commander in Operation Desert Shield/Storm. He was a true warrior and not a political General. He helped restore our country’s pride in our military and removed the public specter that had loomed since Vietnam. The victory parade after the First Gulf War was as much for “Stormin’ Norman” and my brother’s generation who had served in those jungles than for us. I will never forget when our Brigade Task Force, 2d Bde 1st Inf Div, under the Command of COL Tony Moreno was tasked to secure the Safwan Airfield for the surrender talks. I was a young Captain assigned to TF 2-16 Inf, part of 2Bde, as the Fire Support Officer. I and others strained to get a glimpse of the towering stature of the man, General Schwarzkopf. I remember, even though we were not close, when Gen Schwarzkopf turned our way, gave us a thumbs up, to which we stood tall and rendered salutes. To a great General who led us to victory in what was our first combat operation, I offer a salute. Does anyone else see the hypocrisy playing out in Michigan with the right-to-work pending legislation and protest? It is funny how the Left is pro-choice on one very specific issue but against choice when it comes to individual liberty and freedom. In this instance it is playing out with an individual decision to become a union member. Should not middle income American workers be able to determine where they want their wages, (already horribly depressed in this economy), to go? Obviously not — seems the liberal progressives’ definition of liberty is someone taking the liberty to decide what is best for you and your life. To me, that is tyranny! “One quiet Sunday morning 71 years ago, a brazen and surprise attack on our shores shocked and galvanized our nation more forcefully than any other single event had ever done. More than 2,400 Americans were killed and more than 1,100 were wounded. The Pearl Harbor attack sank four United States Navy battleships and damaged four more. It also damaged or sank three cruisers, three destroyers, one minelayer, and damaged 188 aircraft. Today we remember those who lost their lives on that day, and honor those who valiantly fought on. With courage, sacrifice and selfless dedication, these veteran heroes helped protect our country and preserve our freedoms. We believed we would most likely never again see an attack of this type on our shores, but we were wrong. As the events of September 11, 2001 have demonstrated, those who wish to engage the United States on the 21st Century battlefield will devise ever more nefarious ways to kill Americans in order to disrupt and harm our way of life. We must remain vigilant, we must always be prepared, and we must ensure we have the resources to appropriately and adequately respond to those who seek to extinguish our beacon of freedom in the world. This is the same organization which was an unindicted co-conspirator in the largest Islamic terrorism funding trial in American history (The Holy Land Foundation). Perhaps CAIR might like to reassess its own relationship with the Constitutional principles and values of our American republic. I would like CAIR to provide some sensitive thoughts and insight into why Army Major Nidal Hasan still has not been brought to trial three years after shouting “Allahu Akhbar” while gunning down 43 American soldiers and civilians, killing 13, and why his religion gives him the right to openly disregard US Army standards by refusing to shave his beard. Exactly which principles and values does CAIR support?